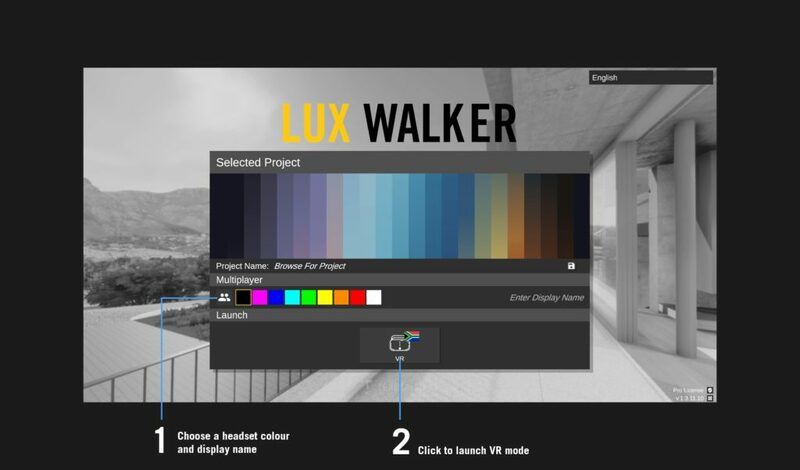 Go to tenebrislab.com/my-account and download LUX WALKER. Once downloaded, double click on the .exe to begin the installation process. Using one of our plugins export your model to a .WALK file. Use LUX HOME to manage your projects. Refer to our plugin guide here. 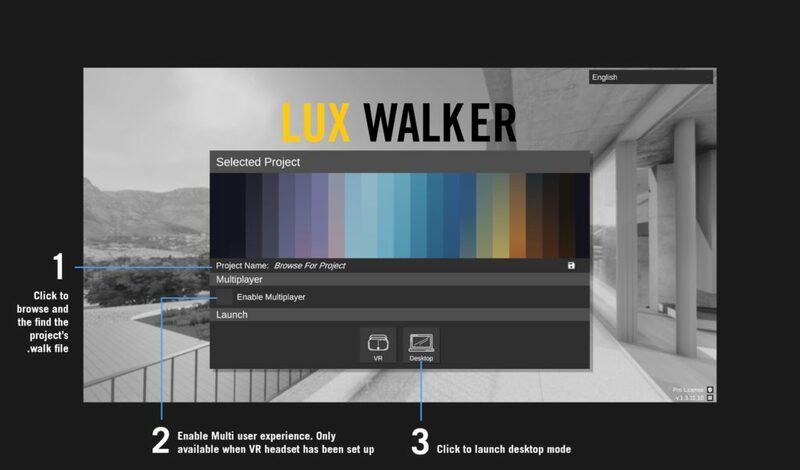 Run LUX WALKER and select a file or double click a .WALK file. If its the first time running LUX WALKER you will need to license the software. Select and choose project to load. (.WALK Files) – Opens file browser. Click to enable multi user experience. See Multiplayer settings below. Choose mode, either in VR mode (will only display if VR headset has been set up) or Desktop mode. Click to launch. 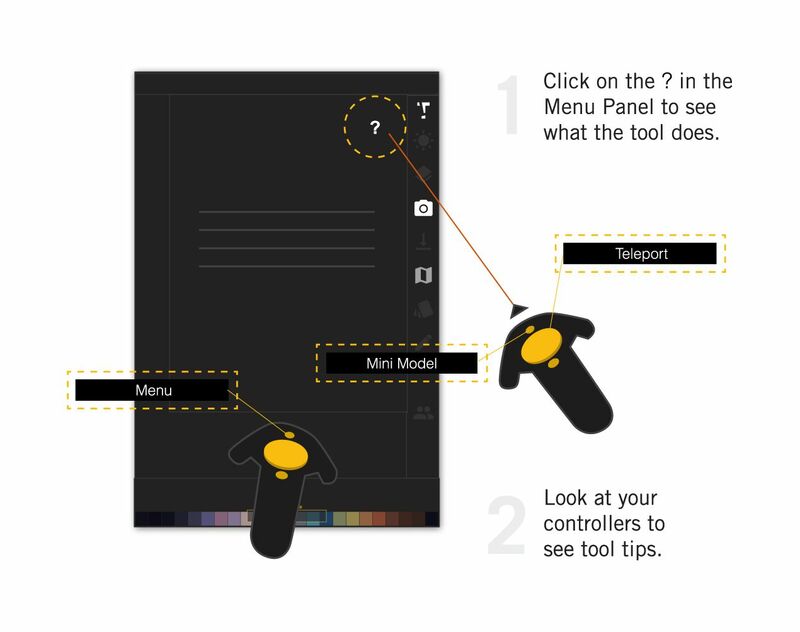 Allows you to customize the color of your headset and controllers. Only other users will see this colour. Also allows you to enter a display name that other users will see when you join them in VR. Click to launch VR mode.